Consulting services for the quarrying industry, with focus on aggregate manufacturing and in particular but not limit to start up quarries. Providing turnkey solutions for your quarry operations, from planning the quarry layout, development planning, and equipment selection, setting up preventative maintenance and quality assurance systems and management systems ensuring legal compliance. 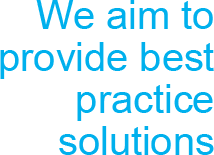 We aim to provide best practice solutions, with a "back to basic" approach. Our products and services is focused on ensuring the optimum return on your investment in both time and money. We have access to a wide range of resources, well experienced in all aspects of quarrying, production, maintenance, plant manufacturing, logistics and supply chain management to assist with all your requirements.